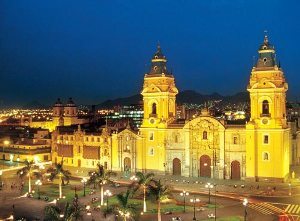 The Republic of Peru is situated south of Ecuador and Colombia, with eastern borders with Brasil and Bolivia, and southern border with Chile.It has a population of nearly 30 million, with 8 million living in the capital Lima which generates two thirds of the country`s industrial output. 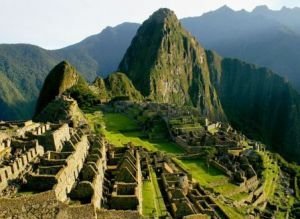 The country is steeped in rich history, and the city of Cuzco was the ancient capital of the Inca empire. Tourists flock from all quarters of the world to visit the lost Incan city of Machu Picchu, situated 8000 feet up in the Andes mountains. 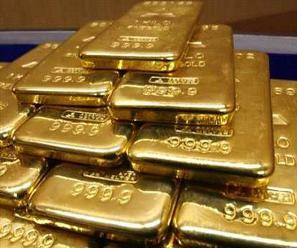 The country has excellent natural commodity resources like oil, gold, copper, silver, lead and zinc. However the potential advantages of these have not been capitalised upon through failure of various governments over recent years. There is still massive inequality between the ruling elite of European descent and the native Peruvians. This created a fertile environment for revolutionaries who have plagued the country, and this has restricted investment from the outside international community. La República del Perú se encuentra al sur de Ecuador y Colombia, con fronteras orientales con Brasil y Bolivia y la frontera sur con Chile. Tiene una población de casi 30 millones, con 8 millones de personas viven en la capital Lima que genera dos tercios de la producción industrial del país. El país está lleno de historia, y la ciudad del Cuzco fue la antigua capital del Imperio Inca. Los turistas vienen de todas partes del mundo para visitar la perdida ciudad Inca de Machu Picchu, situado 8000 pies para arriba en las montañas de los Andes. El país tiene recursos de excelentes materias primas naturales como petróleo, oro, cobre, plata, plomo y zinc. Sin embargo las ventajas potenciales de éstos que no se hayan capitalizado sobre, a través del fracaso de varios gobiernos en los últimos años. Hay todavía gran desigualdad entre la élite gobernante de ascendencia europea y los nativos peruanos. Esto creó un ambiente fértil para los revolucionarios que han asolado el país, y esto ha restringido la inversión de la comunidad internacional exterior. The economy has historically been highly dependant on export trading of commodities like copper, gold, and zinc, where it is among the world`s leading producers. Textiles and fish products are also very influential and Peru is one of the world`s top nations in fishing. Important markets for all products have included the US, Brazil, Chile and China. 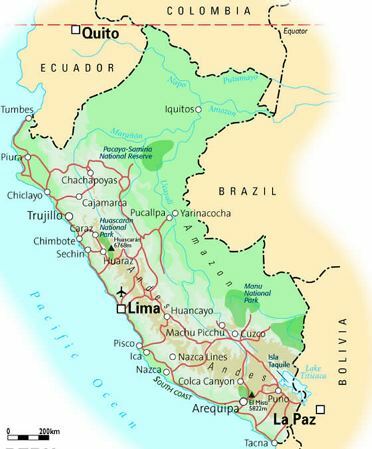 Lima still controls the majority of the trade and industry, but agriculture has developed throughout the many diverse climates of the country. High margin products like avocados, artichokes, mangos, grapes, potatoes, sugar cane and cotton are helping to drive significant growth. Further progress is anticipated following free trade agreements with the US and China. In recent years overall economic growth has been around 9%, and inflation at around 2% is the best in Latin America. La economía ha sido históricamente muy dependiente de comercio de exportación de materias primas como el cobre, oro y zinc, cuando está entre los principales productores del mundo. Textiles y productos pesqueros son también muy influyente y Perú es uno de los mejores países en pesca. Mercados importantes para todos los productos han incluido los Estados Unidos, Brasil, Chile y China. Lima sigue controlando la mayoría de la industria y el comercio, pero la agricultura se ha desarrollado a lo largo de los muchos diversos climas del país. Productos de alto margen como aguacates, alcachofas, mangos, uvas, patatas, caña de azúcar y algodón están ayudando a impulsar el crecimiento significativo. Seguir avanzando es esperado siguientes tratados de libre comercio con Estados Unidos y China. En los últimos años el crecimiento económico general ha sido de un 9% y la inflación en torno al 2% es el mejor en América Latina. 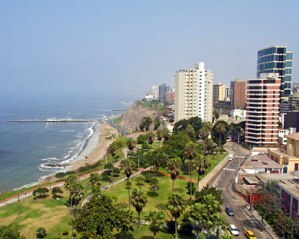 Lima is a large vibrant city full of history and culture. A stay here is rewarded by a very friendly local population who are used to welcoming tourists as part of their often frenetic lives. The city still retains that old colonial style with large blocks in the centre and their ornate balconies, and The Plaza Mayor is where Francisco Pizarro founded the city in 1535 and reflects the former glory of these bygone times but is also the bustling centre of life today. This part of the city has a fantastic choice of restaurants and cafes to suit all tastes and pockets. There are excellent museums in historic buildings like the Art Museum, and the Justice Palace. Take a stroll in the Barranco district and enjoy the interesting selection of bars and cafes along the shoreline. Lima es una ciudad vibrante grande llena de historia y cultura. Una estancia aquí es recompensada por una población local muy amable que se utilizan para dar la bienvenida a los turistas como parte de su vida frenético. La ciudad aún conserva aquel viejo estilo colonial, con grandes bloques en el centro y sus balcones adornados, Y la Plaza Mayor es el lugar donde Francisco Pizarro fundó la ciudad en 1535 y refleja la antigua gloria de estos tiempos pasados pero es también el centro bullicioso de vida hoy. Esta parte de la ciudad tiene una fantástica elección de restaurantes y cafeterías para todos los gustos y bolsillos. Hay excelentes museos en edificios históricos como el Museo de arte y el Palacio de justicia Tome un paseo en el distrito de Barranco y disfrutar de la interesante selección de bares y cafés a lo largo de la costa. The latest additions to the attractions of Lima are the beautiful fountains in the Parque de la Reserva. 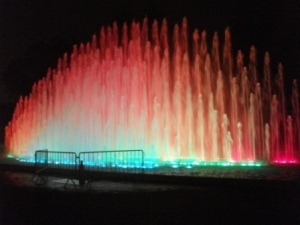 Do not miss this fantastic complex of 13 unique fountains which are illuminated with coloured lights and lasers. Music is expertly choreographed with the movement of the water in a whole variety of breath-taking displays. Some fountains invite participation from visitors if they are brave enough to risk a soaking! Las últimas adiciones a las atracciones de Lima son las fuentes hermosas en el Parque de la Reserva. No te pierdas este fantástico complejo de 13 fuentes únicas que están iluminados con luces de colores y láseres. Música es coreografiado por expertos con el movimiento del agua en una gran variedad de exhibiciones impresionantes. 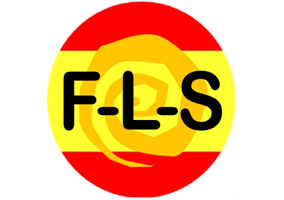 Algunas fuentes invita a la participación de los visitantes si son lo suficientemente valientes como para arriesgar un remojo! The first evidence of civilisation was around 100 AD when the Moche ruled a large region of northern Peru. They had built canals to irrigate barren areas and must have been quite successful because they were in power for 700 years. Lasting memorials of their influence include the large temple of Huaca del Sol near Trujillo. It is claimed that some kind of weather event, like an El Nino, destroyed all their investment in their agriculture. However this can`t be fully proven. In 900 AD the Chimu replaced the earlier Moche civilisation and built more canals for irrigation on an unprecedented scale. They inhabited the narrow strip of relatively flat desert territory between the Andes and the Pacific in northern Peru. However the many rivers flowing down from the Andes produced the potential for good agriculture if they could be harnessed. Over many years with the work of thousands of engineers they transported fertile soil from the rich soil at the forest edge to the more desert like regions. They constructed canals with winding paths to slow down the water for better irrigation. By 1300 they had enlarged the fertile lands from 4 sq. miles to 340 sq. miles. However the area was still susceptible to calamitous weather events. There is evidence that the Chimu elite used mass sacrifice of children of 10-14 years old to try to appease the gods. Excavations show young bodies with their sternum cut open and hearts removed. The children appeared to have been healthy kids, and possibly their sacrifice enhanced the status of the parents in society. There is also evidence that around the mid 1300s there had been too much rain - there were more clay layers in the soil strata. Meteorologists speculate that El Niño could have brought floods, plagues of insects and plague, and great damage had been done to the canal systems. Ultimately the Chimu appeared to have abandoned their attempts to maintain their irrigation systems, and turned to dominating neighbouring areas. 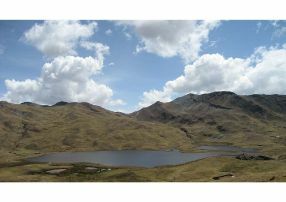 One area they had invaded was Tucumé in La Leche valley. They accomplished the take over without using mass violence but by treating the communities well and protecting the incumbent elites. Trading in precious metals brought wealth back to Chan Chan the main city of the epoch. This walled city had been constructed over 5 centuries and contained 10 sumptuous palaces for the monarchy and family. The adobe material from which the city was made has proved to be highly resilient over the centuries and has been preserved until modern times. Various re­constructions have taken place recently so that the full magnificence of the original can be enjoyed by the thousands of tourists who visit the site each year. Skilled artisans lived outside the walls in small thatched buildings and produced thousands of items in ceramics and precious metals for the elite. They were given land and well paid for their efforts and typically were given the precious metals to work on. The precious items were stored by the elite in `audienciés`, where great wealth was accumulated, a bit like modern day banks. One thing was valued even more than gold¸ and that was Spondylus, red brightly covered oyster shells, which were regarded as gifts from the sea goddess. These were extremely difficult to recover from the bottom of the seabed and so were highly desired. It`s fair to say that the elite lived like gods, and when they died the funerals were very elaborate. In 1995 a whole procession of wooden figurines(maquetas) were excavated. It appears that human sacrifice was made during this process, because some of the figurines had their hands tied behind their backs. The next monarch did not automatically inherit the deceased king`s wealth, but had to establish their own palace. This explains the extra pressure to dominate other regions and therefore build greater wealth. However, in the 1440s, the reputation of the great wealth of the Chimu became known to the Incas in the south. The Incas were much better organised as a fighting nation and easily conquered the Chimu, whose leaders were exiled to Cuzco. Eventually of course the Spanish came in 1527 and took the gold and spread illness throughout the Chimu peoples who then dispersed into the country. In 1986 the ancient city of Chan Chan was made a World Heritage Site and excavations are continuing to this day.